They mark a walking trail called The Chalk Stones Trail which is a five mile walk through the heart of the South Downs, following a trail of 13 round chalk stone sculptured by the environmental artist, Andy Goldsworthy. The trail starts at Cocking Hill and ends at West Dean Gardens. You can even download a trail guide leaflet and map for the trail from the National Trail website. 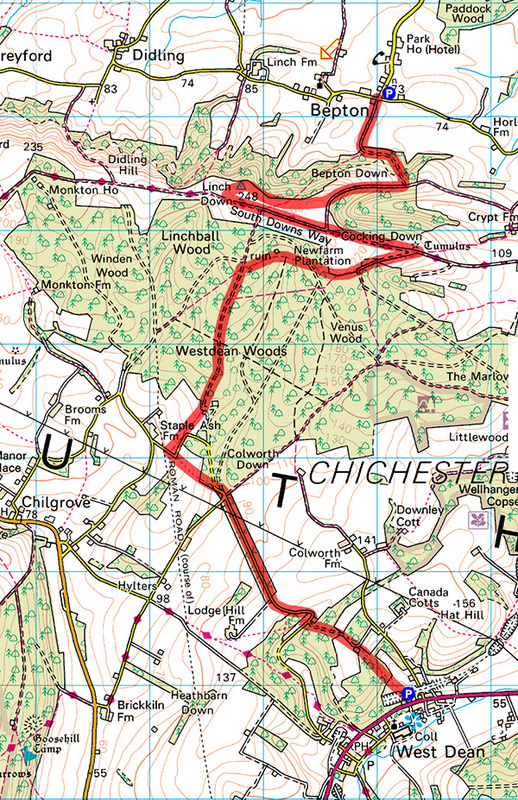 Here’s a map of the route – starting at Bepton, taking in Bepton Down and then up to Cocking Down where the trail starts. 30 Days Wild is an opportunity to make room for nature this June – no matter where you are or how busy your life is! Make this the month when you do something wild every day. When you sign up to the challenge, The Wildlife Trusts will even send you a pack full of encouragement, ideas and ‘Random Acts of Wildness’! Previous Post How old do toads live?